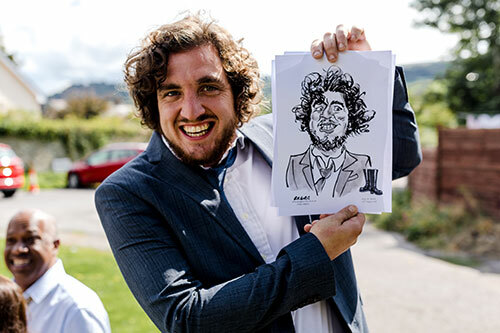 Gregg will come along and usually draw the ‘top table’ first, then move onto your other guest tables during a wedding breakfast, or he can entertain during the evening function, or just during a lull in the day in between, it’s up to you, either way he will liven up the day with his wit and talent, and amuse and astound your guests along the way. If you wish Gregg can pre print his paper with your names and wedding day details at the bottom of the page as a memento of the your day. 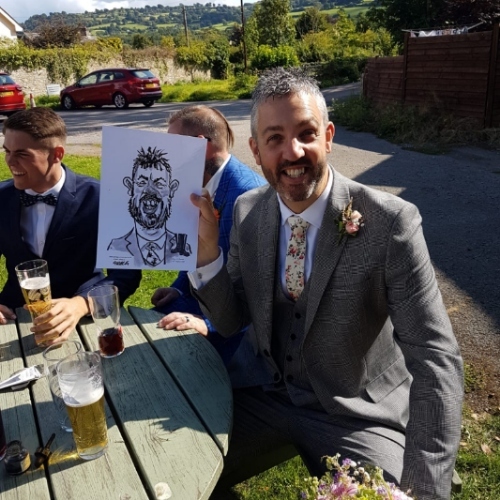 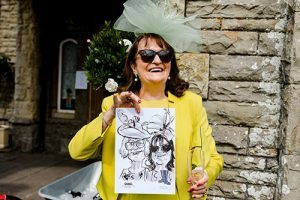 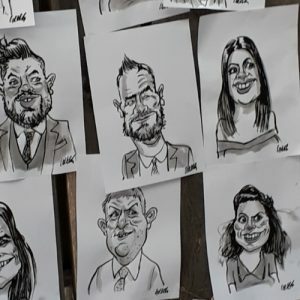 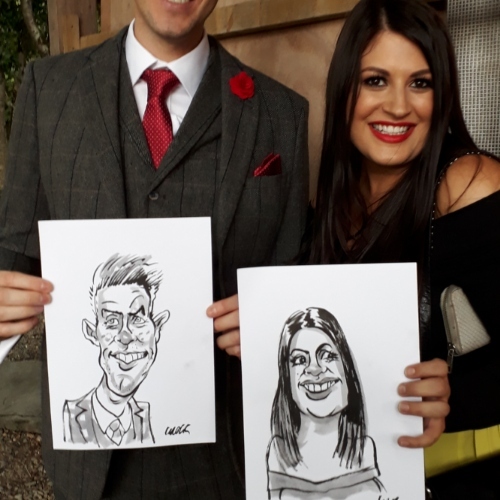 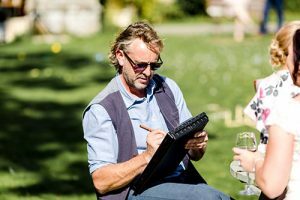 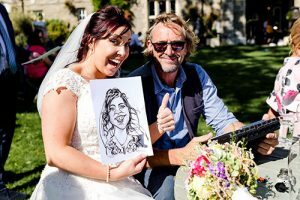 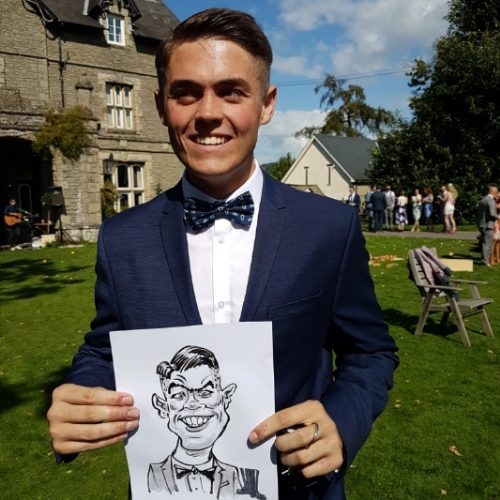 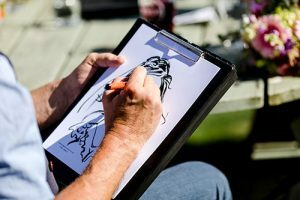 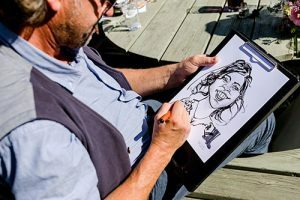 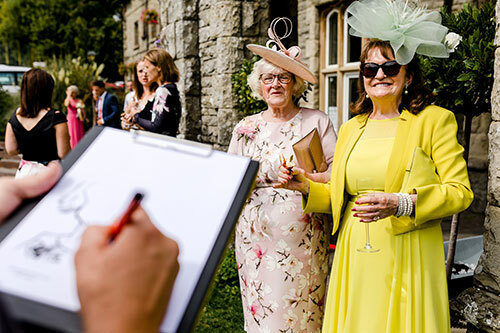 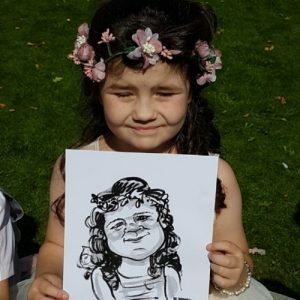 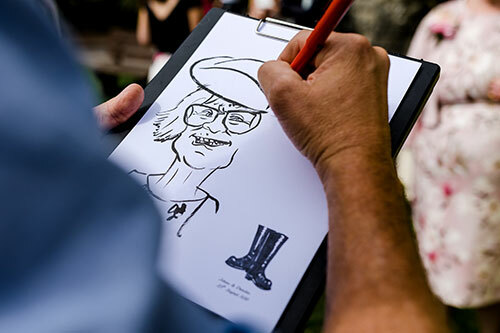 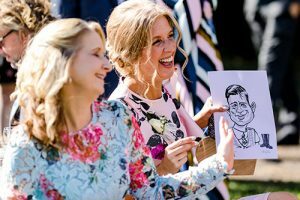 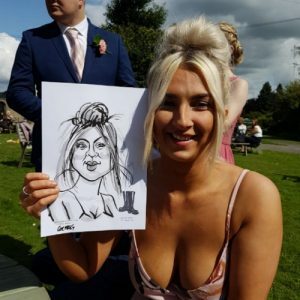 Greg will usually draw 35-40 top quality caricatures at a wedding event.